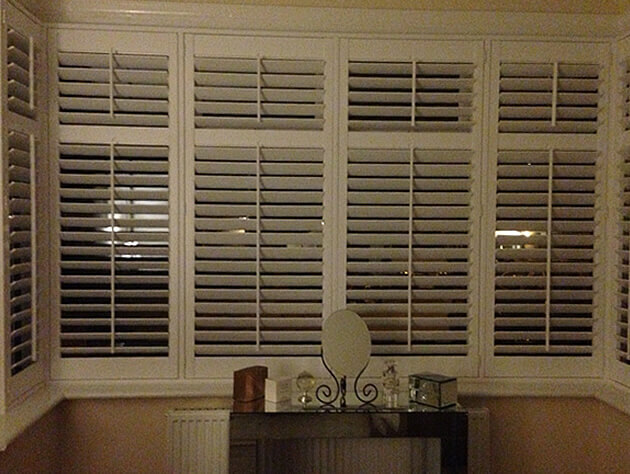 These shutters were fitted by Shaun to a Bungalow in South Croydon. 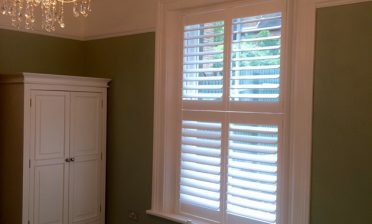 The shutters really help the customer with privacy and make a refreshing change from the drab net curtains that were once in their place! 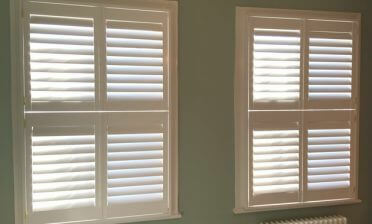 The shutters were fitted to this bay window in the living room using some of our full height shutters created using MDF. The shutters feature a mid rail towards the top which allows the shutter panel tops and bottoms to be adjusted independently. Using this style of mid rail also matches the double glazing window style which they are covering. 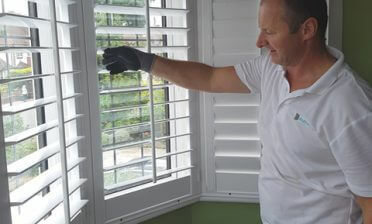 The shutters feature 76mm louvres and a central tilt rod on each panel for adjusting the louvres, which can be fully opened, closed or adjusted easily anywhere in between. Our shutters offer the most versatile adjustment of light and airflow which will benefit this bungalows living room immensely. 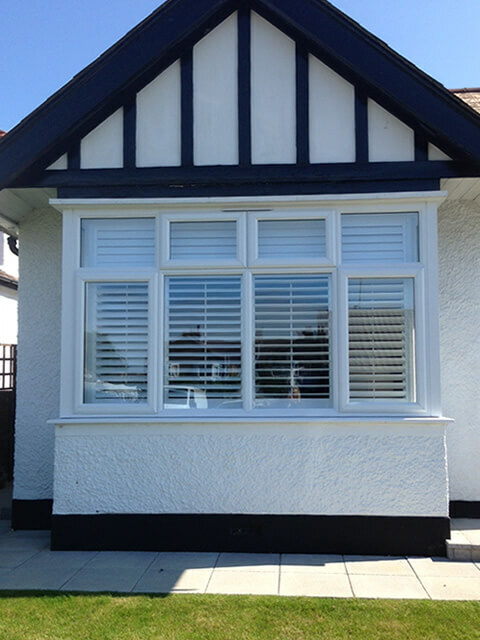 We finished the shutters in white with matching hinges which looks great from inside and outside.